Extensions can be predefined in the AD user, assigned by a telephony administrator or automatically allocated from the site extension range. During commissioning the allocated extension will be updated in Active Directory to reflect the commissioned extension of the user. 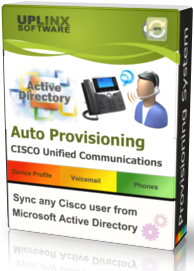 This means that extension information is always accurate across Cisco UC and Active Directory without manually managing free and used extension lists.